Boston, MA: EagleBridge Capital, is pleased to announce that it has arranged mortgage financing in the amount of $9,000,000 to re-finance an existing mortgage on a property located in Dorchester, MA. The mortgage financing was arranged by EagleBridge Principals Ted Sidel & Brian Sheehan who stated that the loan was provided through a local bank. 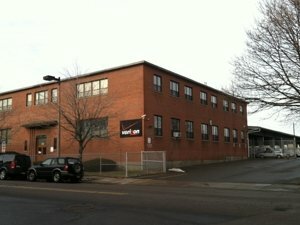 “The property is NNN leased to Verizon and it serves as a maintenance facility for downtown Boston. Located adjacent to South Bay, the land value alone provided our lender with comfort to make this loan on a non-recourse basis.”, explained Mr. Sidel. EagleBridge Capital specializes in Debt and JV-Equity placement for all asset classes of commercial real estate. The firm’s Principals have more than 40 years of experience within the industry and it’s network of relationships with capital sources extend throughout the United States, internationally and includes more than 500 different firms consisting of Banks, Life Companies, CMBS, Fund Advisors, Agency, Finance Companies, Private Lenders & JV Equity providers. As a single point of contact, EagleBridge Capital navigate’s this ever-changing landscape of capital sources, market conditions and regulations on behalf of each client to advise, facilitate and deliver the most competitive terms available within the marketplace. EagleBridge Capital is a Member of CRECA (Commercial Real Estate Capital Advisors). CRECA is network of 8 independently owned CRE Finance firms with market coverage in Florida/Southeast, West Coast/Fresno, CA, Portland, Oregon / Northwest, Chicago, Ohio, Northern Virginia/DC, & the Carolinas. For EagleBridge clients’ operating in these markets or seeking new acquisitions, we are now pleased to be able to provide a local presence and reliable access to local expertise.